Kugon – Scientific name: Imperata cylindrica L.Beauv. An annual, erect, tufted grass, 30 to 80 cm high with a prominent underground stem. Rhizomes much extended, equally noded and white. Stems solid, rather slender; nodes glabrous or bearded. Leaves: flat, linear-lanceolate, 20 to 50 cm long, and 5 to 9 mm wide. Flowers: in panicles, exserted, dense, subcylindric, white, 10 to 20 cm long, 5 to 15 cm in diameter, silvery-silky. Callus hairs copious, about twice as long as the glumes. Spikelets 1- to 2-flowered, 2 to 4 mm long, in pairs, its axis continuous. Stamens 1 or 2, anthers large. Widely distributed, in open, rather dry lands, throughout the Philippines, often forming extensive cogon grasslands called cogonales. Difficult to eradicate because of persistent rhizomes. For propagation, use the stoloniferous rhizome or the downy caryopsis (fruits) from a mature spike. A prolific seed producer, when detached from stalks the seeds are carried by wind at long distances. Collect the underground portion, remove the roots, and clean. Cut into pieces. Fry with a strong fire until the covering turns yellow, sprinkle with clean water and sun-dry. The inflorescence may also be collected and sun-dried for use. For hemoptysis, hematuria, and nose bleeding (epistaxis): a decoction of 30 to 60 gms of the herb. For urinary tract infections: drink a decoction of 80 to 120 gms of fresh rhizomes. Painful outgrowth at the tongue. Use 30 to 90 gms dried rhizome, or 60 to 120 gms of fresh rhizome in decoction. Has also been used for diabetes, wound healing, arthritis. This entry was posted in List of Medicinal Plants in the Philippines on March 20, 2009 by Pinoy Herbs. does cogon rhizome contains sugar ? 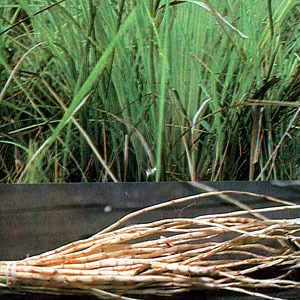 Yes, sugar is found in cogon grass. Mainly in roots. You can extract it using the same process when you get sugar from sugar cane. what is the constituents of kugon in diabetis treatment? what type of Aetiotropic drug does kugon contain? how many percent of sugar does the cogon grass roots have?